Search for over 140 airport sights with this i-SPY guide. This fun activity book encourages kids to look all around at an airport, from the departure lounge to aircraft tail fins, in search of i-SPY points. A fun, interactive way to encourage curious children to learn about the world around them. Search for over 140 airport sights with this i-SPY guide. 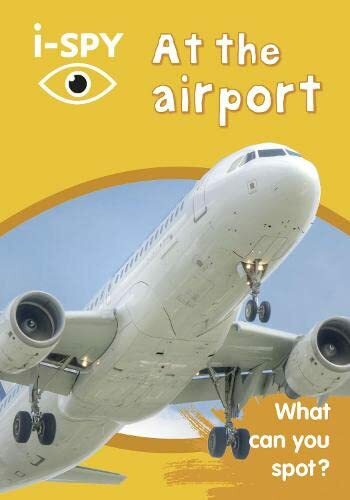 This fun activity book encourages kids to look all around at an airport, from the departure lounge to aircraft tail fins, in search of i-SPY points. A fun, interactive way to encourage curious children to learn about the world around them. What can you spot? Get i-SPYing with these features: * Vibrant colour coded photographs * Learn facts about air travel and transport along the way * Points to score from common spots like control tower (5 points) to top spots such as security dog (30 points). Children love these fun and fascinating i-SPY activity books - discover over 30 other i-SPY guides in the series!